Renault UK has announced the appointment of Mihai Bordeanu as Marketing Director succeeding Phil York who is promoted to a new Global Marketing role based in Paris. planning, pricing, vehicle distribution, market analysis, strategy and research for the UK, Ireland, Cyprus and Malta markets for both the Renault and Dacia brands. Mihai takes the reins on March 1, and will sit on the main Renault UK Ltd. board headed by Managing Director, Ken Ramirez. Mihai Bordeanu joined the Renault Group in February 2010 as Marketing Director for Romania responsible for the Renault and Dacia brands. He joined Renault from Toyota Romania where, in three years, he held the roles of Marketing Director, Commercial Director and, finally, Balkans Divisional Director for Lexus. In addition, Chris White is promoted to the new role of Deputy Marketing Director for the UK, Ireland, Cyprus and Malta, effective February 1, 2014. In this new role as second-in-command, Chris will be responsible for the continued deployment of effective marketing actions across the Renault and Dacia brands in the territory. Chris brings a wealth of experience through her career at Renault UK in a variety of roles in sales, marketing and after-sales positions both in head office and in the field. Chris will also retain her current Brand Manager responsibilities for the Renault brand and will be performing the role of acting Marketing Director in the interim prior to Mihai's arrival. "I am delighted to join the Renault UK group at such an exciting time for the brands with the group now back in the top 10 Retail franchises in the UK. I look forward to further drive the franchise growth through outstanding brand value for both Renault and Dacia," said Mihai. 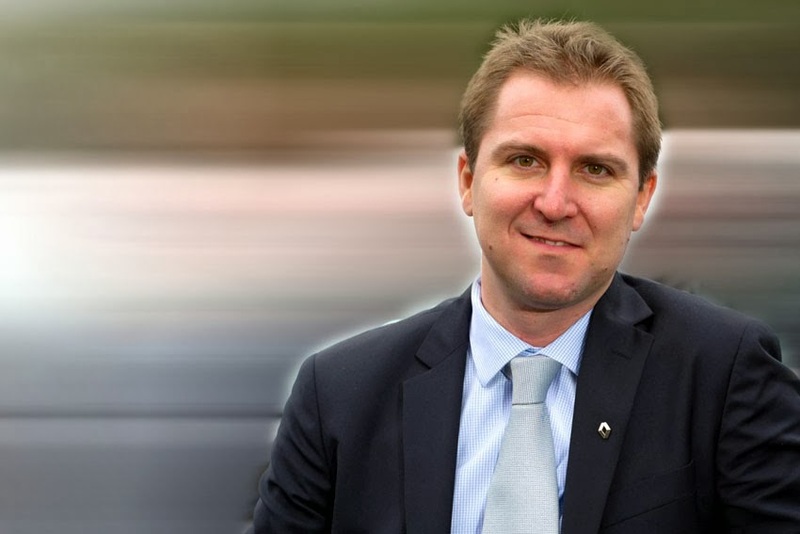 Ken Ramirez added, "It is a great pleasure to welcome Mihai into our team at Renault UK and I am confident he will make a valuable contribution to our continued success. Following such a successful 2013, with group car volume up 55 per cent, I am very sorry to see Phil depart after the major contributions he made in leading our marketing team. I wish Mihai, Phil and Chris the very best in their new roles." Mihai Bordeanu, a native of Romania, is married with two children.